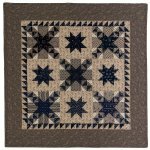 ©2013 26” x 26” Some of the most dramatic battles of the Civil War were fought from Chattanooga, Tennessee to the outskirts of Atlanta, a 100-mile area in the heart of the war known as the Blue and Gray Trail. Included in this stretch of battle arenas were Sherman's battle in Atlanta and the Battle of Chickamauga, a site known as the second bloodiest battle and the confederate soldiers' greatest victory. 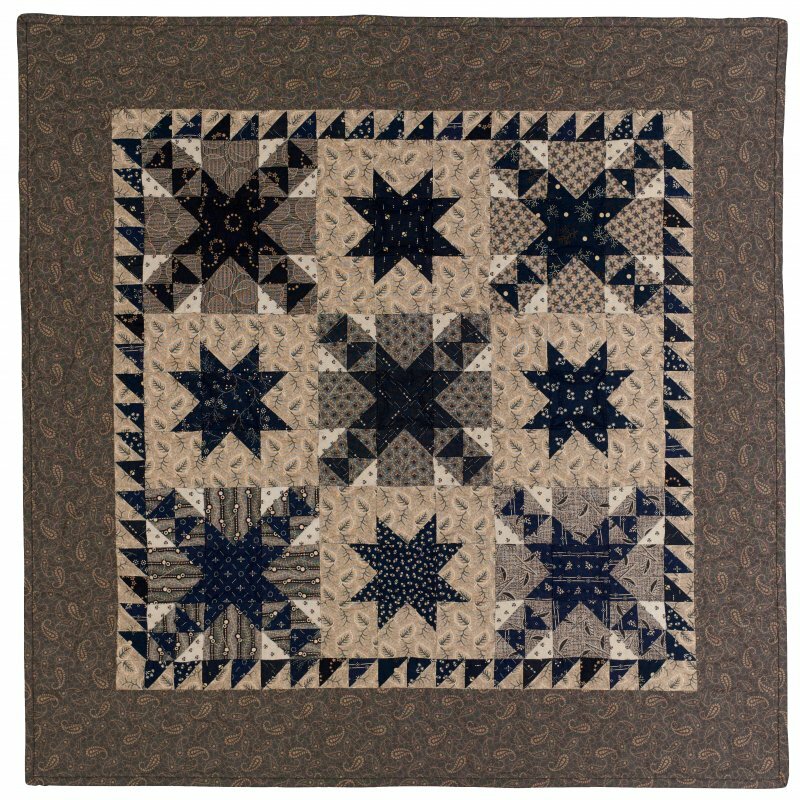 With the good selection of gray fabrics currently available, you can create Blue and Gray Trails, a small 26" x 26" doll quilt, wall hanging, or table topper consisting of two different 6" blocks and a pieced border.